Give Dad the Perfect Gift -MOTOROLA ROADSTER Bluetooth Car Kit Review and Giveaway. As I have mentioned before, I learned how to drive in Spain and that is also where I got my first driver’s license. For that same reason I got used to their driving laws and regulations and one very strict law is not to use the cell phone while you are driving unless you have a blue tooth device and the penalties for breaking this law can be really costly. Personally, I think that it is a great law. I truly believe that your concentration is not the same when you are holding a phone to your ear. And if I had any doubts, they were erased a couple of years ago when my father in-law was hit by a car while crossing a street while having the right of way…….The driver was on the phone and didn’t see the people going across! (Luckily he survived with minor injuries). Looking for the ringing cell phone while driving is another thing that can be a distraction. Any yet the worst has to be texting while you are driving! My husband is the kind of person that thinks that you are supposed to do all the phone calls you have pending while you are driving. I guess it is his own idea of multi-tasking……It drives me nuts when he does that, so when I recently had the chance to try one of the Motorola’s latest hands-free devices, the H17txt with Motospeak I was beyond happy. We got it a few months ago and love it so much that when my husband lost the one he had, he bought another one…I even bought one for my brother! This father’s day I want to bring you another great Motorola Hands free product. 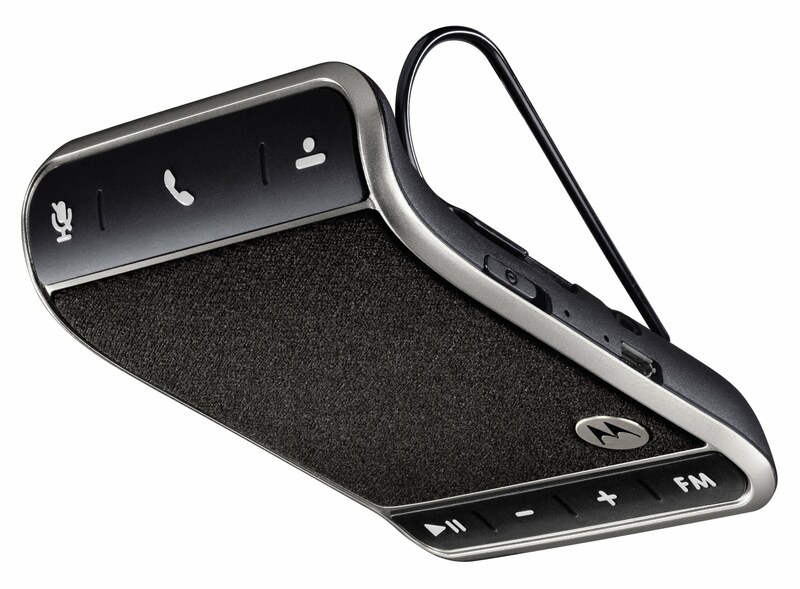 The MOTOROLA ROADSTER Bluetooth Car Kit. The Roadster allows you to make and receive phone calls and play music from your phone while without taking your hands off the steering wheel…This is a great option for people who do not like wearing an ear piece. The Roadster also allows you to simultaneously connect with two phones, hear caller’s name or number, and use your voice to answer or ignore calls( I love this option as you do not have to even look at the unit to start your conversation). You can also switch between your FM radio and car kit speaker. Another great feature on this unit is the voice prompts that guide you on connections, battery level, and other functions……Once you set up the Roadster which by the way is really simple ( I did it myself in no more than a few seconds), the voice prompts come up as soon as I get in the car and clearly let me know when I am receiving a phone call. I have received numerous calls with no problem on either end and that includes long distance calls. The Roadster has some really neat features….Some are phone/network dependent. The first time you use your Roadster you should charge it for at least 6 hours ( I charged it at home with the home electric charger that is included in the package. The Roadster also uses status lights to quickly let you know what is going on with your unit. So what the Motorola Roadster basically does for you is combine Bluetooth connectivity and FM transmission to create a device that’s useful for a lot more than just phone calls. 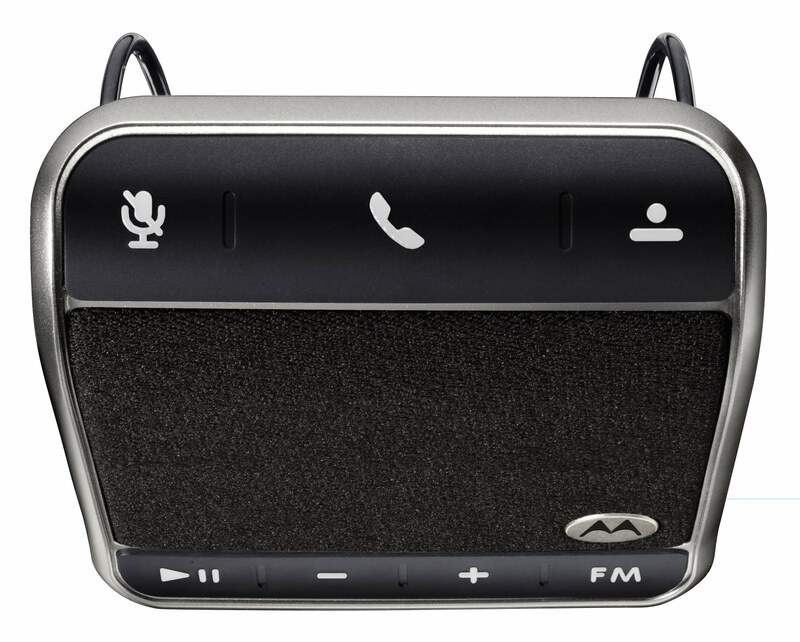 The audio streaming lets you to listen to music, and to take advantage of Motorola’s MotoSpeak Android and BlackBerry apps that converts text messages in to voice massages and the speaker is loud and clear, so you can be heard and hear over road noise. This is a must for people that are on the road and for safe everyday use of your cell phone. This is a great product at a great price, you can find the roadster for 99.00 at the Motorola online store and authorized retailers across the US. Motorola has kindly offered one lucky Born 2 Impress , the chance to win a free Motorola Roadster! To enter this giveaway, please visit Motorola and tell me what other of their products you will like to try. This is mandatory to participate. (You MUST be a public follower of the Born 2 Impress blog enter this giveaway, and if your profile is set at private, entries don’t qualify). 1entry- Like Motorola on Facebook. 1 entry Follow Motorola on Twitter. 1 entry- Grab the Born 2 Impress button. 1 entry- Grab the Pampered Mom Event button. 1 entry – Follow me on Twitter and Tweet about this free giveaway using: Up to once a day! 1entries- Become a friend on Facebook and post the giveaway on your wall- Link is on the right hand side bar. This can be done daily. 2 entries- Subscribe to my Newsletter. 2 entries- Follow me through Networked Blogs. 2 entries – Blog about this free giveaway and post the link here. Make sure to leave a message for each entry. 2 entries-Submit this giveaway to a giveaway site and let me know which one. Want more extra entries? Post about this giveaway in any other network you are active and post the link here. Please post one message for each extra entry. Giveaway ends July 10th midnight. Eastern Time. Contest open to U.S. and Canada residents with a valid street address. No PO Boxes please. Winner(s) are selected randomly through the use of random.org unless otherwise noted and will be announce on the contest closing date. To claim your prize(s), you must contact Born 2 Impress within 48 hours of the contest closing Prize(s) not claimed by (48 hours) will be forfeited and a new winner will be selected in a live giveaway. Please provide a valid email address to be informed in case you do win a giveaway. We have a winner: True Random Number Generator Min: 1 Max: 56 Result: 311 Powered by RANDOM.ORG. Congratulations:@graywolfpack ! Please contact me within the next 48 hours to claim your prize. I would love the Motorola camo two way radios for my husband and son for hunting season! I do follow you publicly already! I LIKE Motorola on Facebook! I do follow n tweeted! I am now following and like you on FB. I like the Motorola Zoom Tablet. It’s a neat idea and good size. I like the Motorola Xoom. What an awesome tablet!! Entering the Human Touch Foot and Calf Massager! I subscribe to your feeds.. I subscribe to your newsletter..
entered the my urban child giveaway..
entered the swimmer infant must have products giveaway..
entered the sheex travel pillow giveaway..
entered the getting back in shape activewear giveaway..
entered the turkish towel giveaway.. I would love a Motorola Atrix 4 G! I subscribe to your newsletter entry 2! I entered the human touch massager giveaway! The miracle shine product look great too.Im growing my hair long after a lifetime of short so im learning about styling stuff and hair products lol. I am a public follower on GFC eyewonit AT aol dot com and I visited Motorola and looked at the Motorola XOOM which I would love to try. I also like their MR356R Rechargeable Two-Way Radio. I Like Motorola on Facebook. I follow Like Motorola on twitter. I’d like to try the Droid X for Verizon. Thanks! i would love the motorola zoom tablet! I would like to try the MR356R RECHARGEABLE TWO-WAY RADIO set. Entered My Urban Child giveaway. Entered Wilsons Leather Computer Briefcase from Kenneth Cole giveaway. Entered Mega Bloks Dora the Explorer Set giveaway. Entered NuMe Professional Styling Products giveaway. I love their LS720B 7 Dual Digital Photo Frame! I follow on twitter & tweeted! 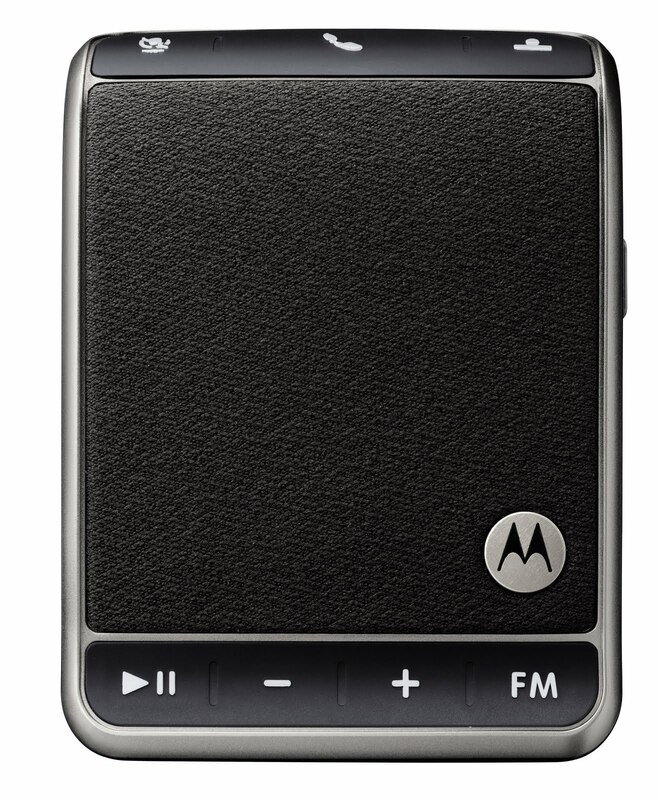 I’m a GFC follower and I’d like the MOTOROLA ROADSTER Bluetooth Car Kit. I liked Motorola on FB! I followed @Motorola on twitter. The B802 DECT 6.0 DIGITAL CORDLESS PHONES WITH ANSWERING SYSTEM would be perfect to replace the old (1990’s) phones we have! I’d LOVE to have the Motorola XOOM! I follow your blog. I would like to try the Motorola XOOM.